Ganesha Games makes it easier to keep track of your warbands for Song of Arthur and Merlin with an updated Warband Builder that's now available on their website. 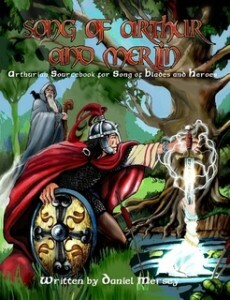 The free warband builder for the stand alone version of Song of Arthur and Merlin is now available on our site. Song of Arthur and Merlin is a skirmish level Arthurian miniatures game which may be played in any scale using any figures. It is based on the popular Song of Blades and Heroes rules. Three versions of the Arthurian myth are provided (historical, Hollywood, and Welsh legend).